The club is run on an entirely voluntary basis, by a Management Committee which meets monthly, and also by the active participation of ordinary members to help manage on-the-water safety, racing, and training, as well as our catering and other on-shore activities, on a weekly basis. We have a lease to use the reservoir from Yorkshire Water, but we built the clubhouse (1993) and the more recent extension (2013) ourselves, with the help of various grants. The club is non-profit-making, with all membership fees going to pay for the lease, and the upkeep of buildings and sailing equipment. The clubhouse is a really excellent facility providing large warm changing rooms with hot showers, a spacious ‘wet’ club room, and a well-equipped galley. The recent extension provides a large carpeted dry area with comfy chairs and picture windows, and even free WiFi, – ideal for visitors and spectators, but also useful for training events, and for our evening social functions. And finally – just in case, – we have first aid equipment on-hand, including a defibrillator. The reservoir is approximately 120 acres, and being roughly L-shaped it provides good racing / sailing with most wind directions. We race on most Sundays throughout the year, and on Thursday evenings during the summer, but we also free-sail or run training on Saturdays and weekday evenings . Racing is always managed from our dedicated Committee Boat, and is supported by a range of capable and radio-equipped safety craft. Most members own their own boats (stored in our dinghy-park), but we have an extensive range of club-owned dinghies to support training, and these may also be hired by club members for racing or free-sailing. We can also provide buoyancy jackets, life-jackets and some wet gear. 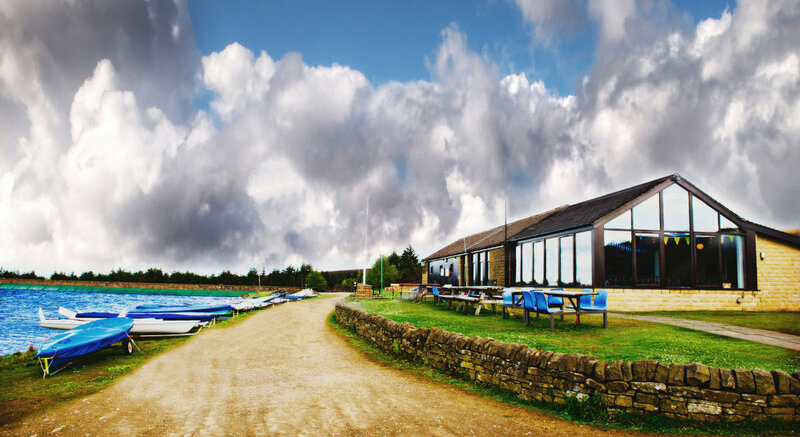 Pennine Sailing Club is situated on Winscar Reservoir in the hills above Holmfirth, in the Peak District National Park, with a growing membership of 200+ sailors and windsurfers from the surrounding areas.